To create a SKU for a book, you don’t have to fill in all information like description, price manually. 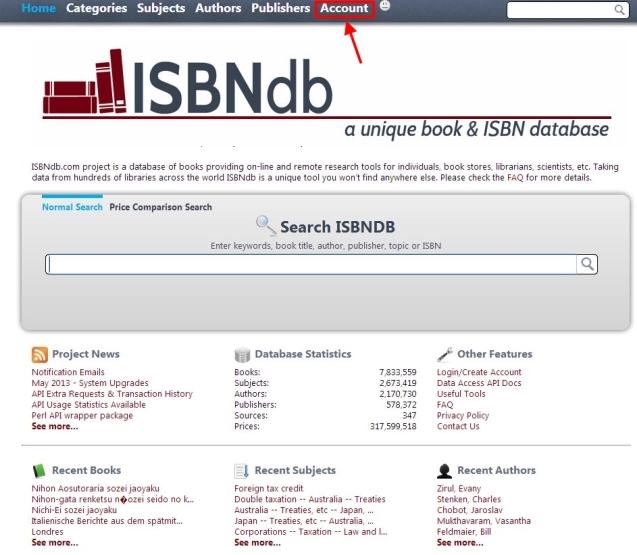 You can just scan the ISBN(barcode of the book), the system will automatically fill in the information. 1. You must first obtain your own ISBN access key. 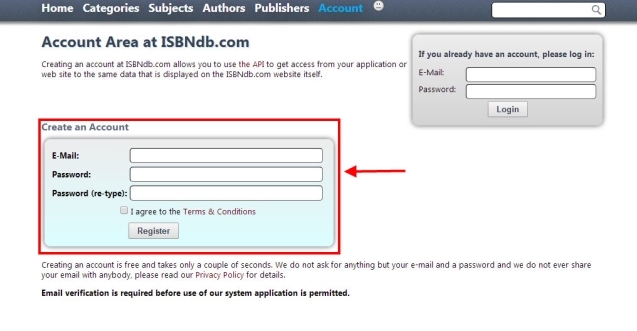 To do this, create an account at www.isbndb.com. 2. Enter your desired account information, and verify your account via your email address as instructed by the website. 2. Access the Account section again, and login to your created account. 3. Next, select the Developer Area, Remote Access API option. 4. Select the Manage Access Keys option. 5. Select Generate a new key. 6. Finally, select the Generate new key button. 7. A new page will appear showing your newly created key. 8. Next, you must create the following SKU attributes select the format as Text. 9. Once your key is obtained and your attributes are created, please contact us to enable your ISBN lookup. 10. Access your inventory menu, and select one of your book SKUs. Select the Product # field and type or scan in the ISBN number into the field. If the fields for the SKU were previously blank, they should automatically fill in with the book’s available information (description, authors, publisher) based on the ISBN number.